Every collection is different, but during fashion month you’re bound to notice a few recurring themes. 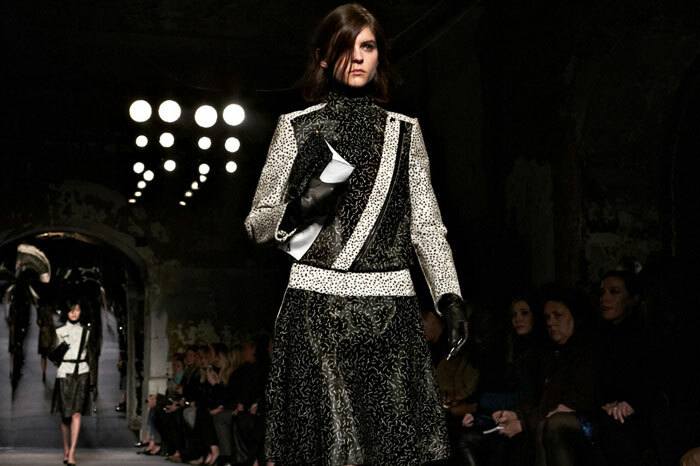 This season we’re keeping an eye on the runways and noting the big trends as they happen. Take a look at just a few of the fashion and beauty motifs we spotted on multiple runways this NYFW season. 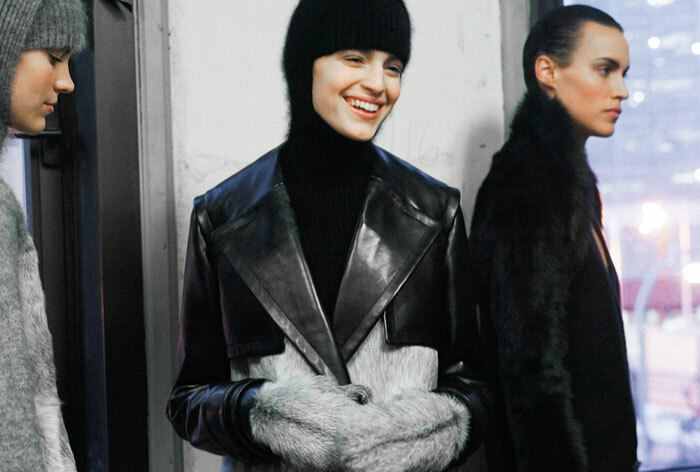 Love it or hate it, fur was one of the season’s big stories. During NYFW it seemed almost every designer included fur as part of their seasonal mix, but it was especially on trend to take things over the top and add fur to unusual elements. At Alexander Wang and Altuzarra we saw the emergence of oversized fur mittens, a look that is one step away from seeming ridiculous but somehow managed to work in the catwalk context. Who can resist a berry stain? 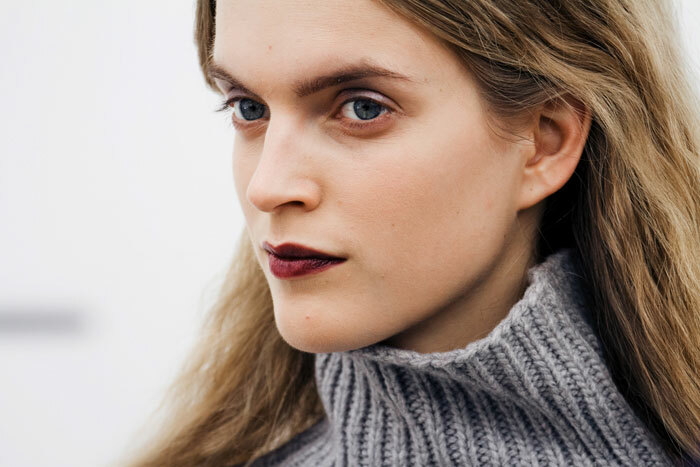 Makeup artists reached for shades of burgundy, wine and raspberry when crafting beauty looks this season. At Derek Lam Estee Lauder’s Tom Pecheux used a combination of two new Pure Color lip shades (Burnished Bronze & Electric Wine – out in August) and even mixed in a tiny bit of cream eyeshadow into the mix to add texture. A black and white print will never go out of style and so many great ones showed up this season. 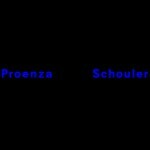 The dynamic Proenza Schouler collection was filled with beautiful graphic pieces to mix and match. We were especially taken by the speckled and squiggled motorcycle jackets and skirts. 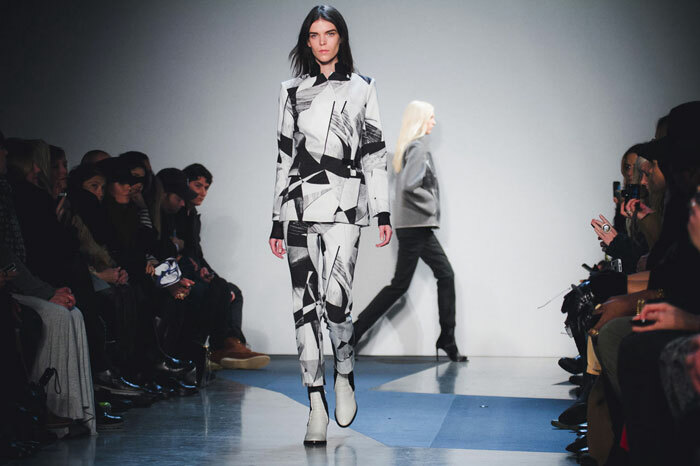 The Helmut Lang look took its cues from Picasso’s Black & White exhibit and the eye-catching patterns that resulted in were simply stellar. 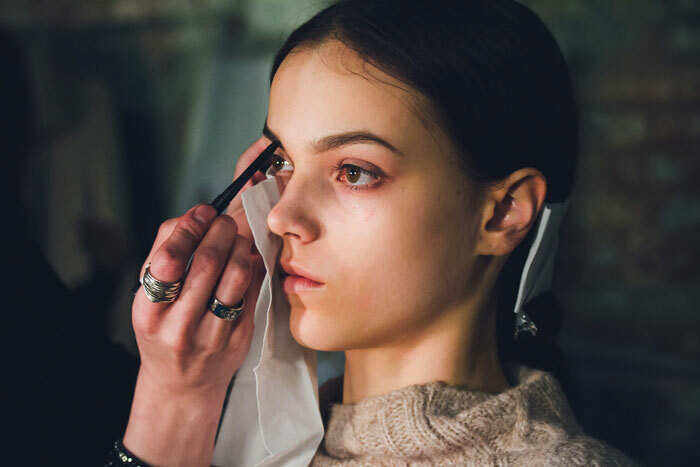 Call it the Hilary Rhoda-effect, big brows were back and stole the show on more than a few runways. 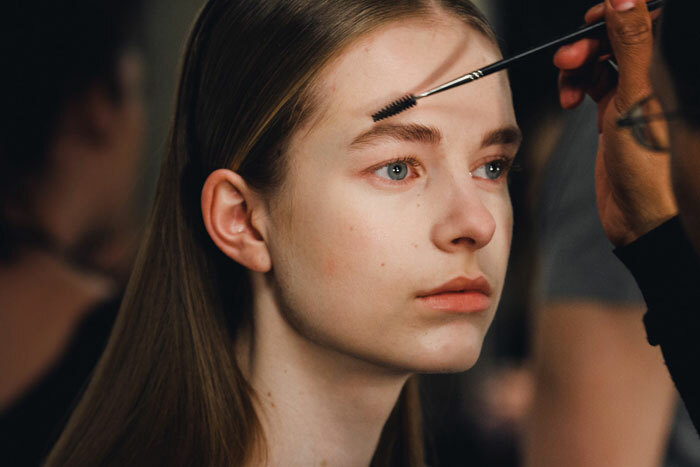 Backstage at Theyskens Theory and Helmut Lang the minimalist ensembles were accented by groomed yet prominent brows that framed the girl’s faces beautifully. 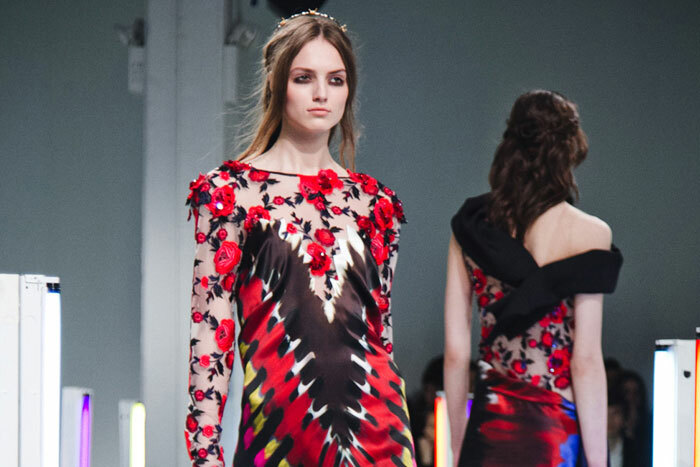 Why wait until spring to enjoy the innate beauty of floral prints? Designers showcased a variety of fresh from the garden patterns this season, eschewing pastels for darker colors and bolder looks. The Billy Reid and Sophie Theallet variants on the look were especially chic and sophisticated, while Rodarte went in an unexpected direction, mixing florals with tie-dye. 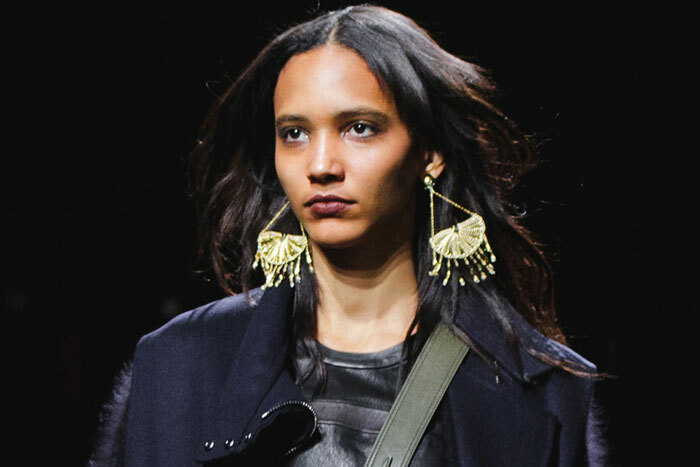 The statement earring is having its moment. 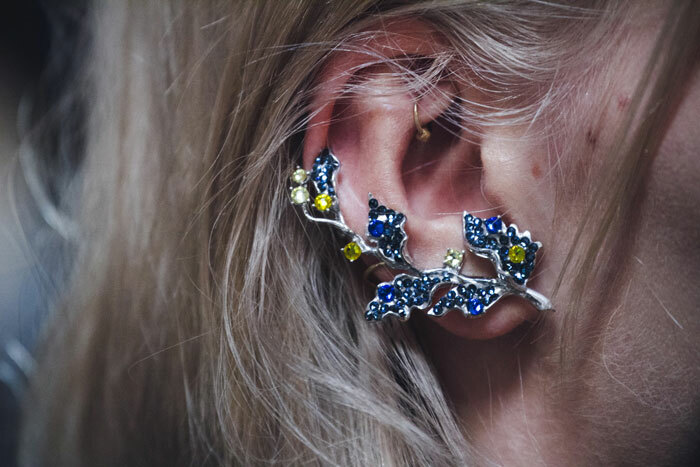 Designers had a field day with jewelry this season and some of the most appealing extras were the vine earrings featured at Thakoon and the Alexis Bittar crafted sparklers at 3.1 Phillip Lim. Two totally different and completely essential looks sure to add spice to any outfit. 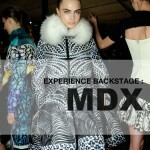 You have a picture posted of Lauren Bigelow behind the scenes of Theyskens Theory. This is NOT Lauren. Their fashion inspiration this season clearly was Cruella DeVille.